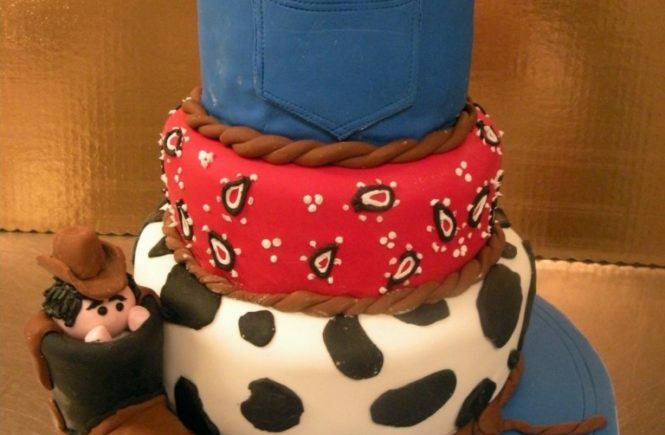 I wasn’t able to make the Chocolate Tomato Cake with Mystery Ganache this last weekend because Hubby was unexpectedly in the hospital. I am happy to say that we are finally home and all is as well as it can be until he gets the liver transplant. Wednesday afternoon I decided to see what our project was for this weekend and it turned out to be Caramelized Pineapple Pudding Cakes. A very key ingredient for this recipe is a loaf of brioche which can be store bought or homemade. 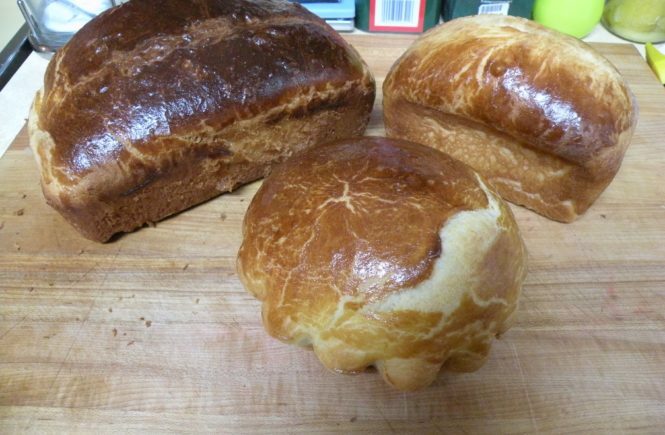 Since Rose provides a recipe for the brioche, and also because I know that I won’t be able to buy it in my small town, I decided to go ahead and make the brioche. I have been wanting to try making this bread for a while now. I saw a recipe in a magazine some time ago and actually bought a cute little brioche pan but with wedding cake season and all I just haven’t had the time. Rose says that this recipe is an “easy, enjoyable dough to make,” which I was really hoping was true. 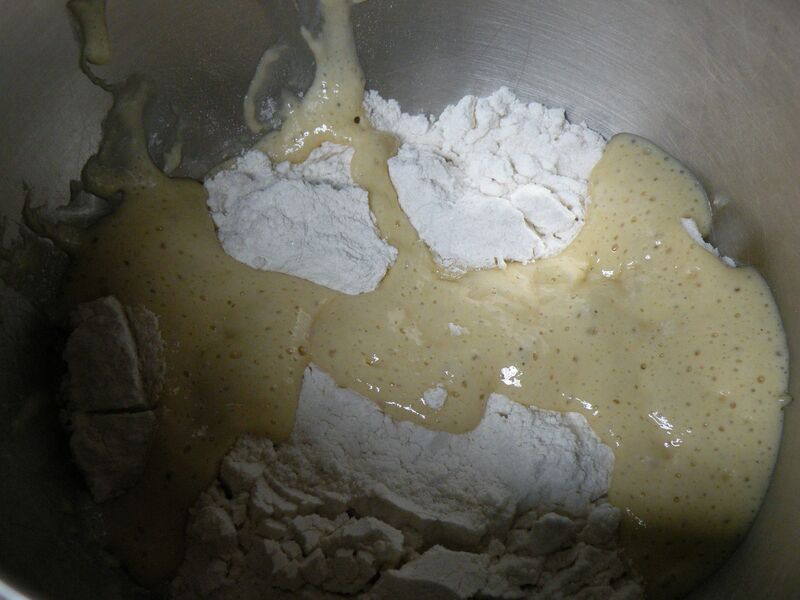 I have made a fair amount of yeast breads in my time, but I have always used active dry yeast. 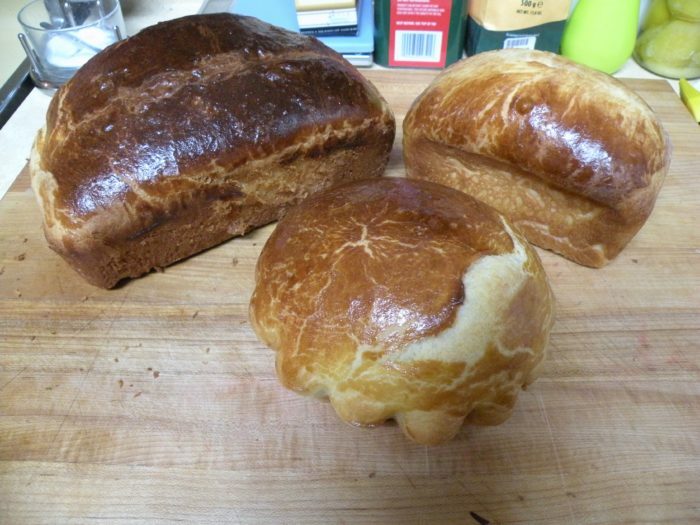 The Classic Brioche recipe calls for instant yeast, which is not available at my grocery store. A quick google search yielded information that the two can be interchanged as long as the active dry yeast is proofed before using. I had to modify the recipe a bit. The first step of the recipe calls for making a dough starter or sponge. I combined the water (warm), sugar and yeast together so that it could proof before adding it to the flour and egg. While I was waiting for this to happen, I read ahead in the directions and found out that in the second step you use an additional 1-1/4 teaspoons of yeast which is combined with dry ingredients. I decided that I had better add the yeast from this step into what was proofing in step 1, so I went ahead and added an additional 1-1/4 teaspoons of yeast. After I could see bubbles forming in the bowl, I added the rest of the ingredients for the starter. 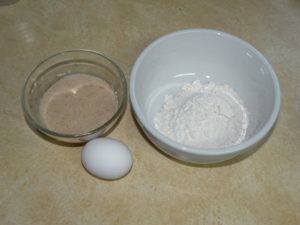 Step two is to mix dry ingredients for the dough and put them on top of the sponge and allow it to rest for 1-1/2 to 2 hours. After letting it rest you add eggs and beat it with the dough hook and incorporate the butter. 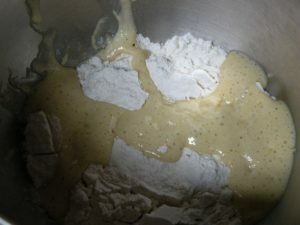 The dough then raises for another 1-1/2 to 2 hours or until doubled. At this point I deviated from the recipe because it was getting late and I hadn’t realized that it was supposed to raise an additional two hours before putting it in the refrigerator. I was tired and didn’t want to stay up another two hours so I put the lid on the KitchenAid bowl and stuck it in the refrigerator. The dough raised very nicely so I put on the egg glaze and slashed the tops. 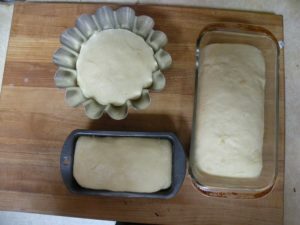 I baked the loaves for about 20 minutes at which time the two small loaves had an internal temperature of 190 degrees. The large loaf took another five minutes to finish baking. I let the loaves cool for about 10 minutes before unmolding them and they came out very easily. We decided to take a sample and we were very pleased. Hubby even tried some preserves with his. 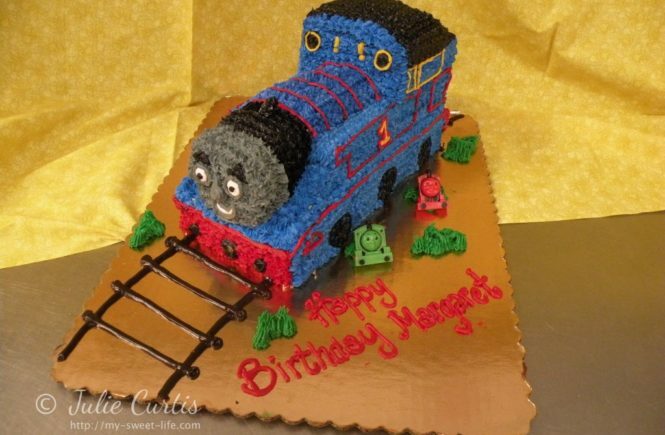 I am quite pleased with the recipe and intend to make this again.